Infested is an Enemy in Lords of the Fallen. Enemies are hostile creatures and humans that Harkyn encounters throughout the game. They have different resistances and drops, sometimes leaving behind powerful Weapons. An easy standard enemy at the beginning of the game. 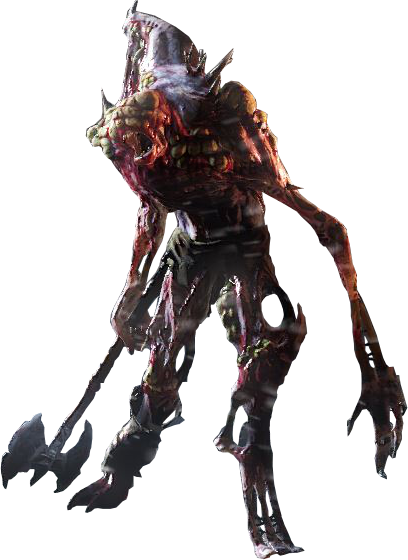 Once a human, the Infested are transforming into soon-to-be Rhogar. There are three variants of the enemy, however. One variation has low health and is much weaker, than the stronger Infested that can be found within the Catacombs. Along with this the third variant normally plays dead until attempting to engage in the player, and will replenish it's health after it's been slain before it can finally be killed. General - Usually these enemies do their 3-Slash forward Combo when you encounter them. Dodge this and finish them from behind.